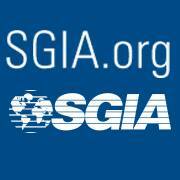 The Specialty Graphic Imaging Association (SGIA) Board of Directors has announced that SGIA, the home to professionals in the industrial, graphic, garment, textile, electronics, packaging and commercial printing communities, and NAPCO Media, a business-to-business media company, have entered into a partnership that will offer print service providers and industry suppliers an platform to connect, PRINT United. Today’s printing industry is driven by this convergence of technologies and capabilities, a blending and blurring of market segments and specialties. The event PRINT United focuses on the opportunities this convergence presents. The PRINT United experience will include an expansive and comprehensive display of printing technologies and supplies, education, programming and services to take any printing business to the next level. PRINT United will give print providers integrated access not only to the trade show for the print industry, but also to NAPCO Media’s deep expertise and focused strategy for the print market. For print industry suppliers, the partnership offers even more value as it will leverage NAPCO Media’s commercial, in-plant and package printing audiences and provide a ‘one-stop’ exposition for all technologies and markets within the graphic and visual communications industry. Print United will launch in Dallas, Texas, October 23-25, 2019. Ford Bowers of SGIA will serve as PRINT United’s CEO, and Mark Subers of NAPCO Media will be its president. PRINT United will focus on the opportunities presented by the convergence of printing technologies and markets.